Animal safety and welfare are major concerns world-wide. In Quebec, MAPAQ intervenes when animal health or welfare are threatened. Inspections are conducted in accordance with the regulations in force. Some livestock diseases can compromise animal health. An outbreak of these diseases can cause major economic costs for livestock producers and can even have impacts on human health. In addition, different programs, particularly intended for businesses in the agricultural sector, have been established to improve animal health and welfare. To learn more about animal health, visit the MAPAQ website. 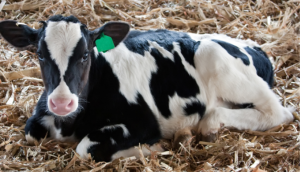 The leading animal health issues in cattle production are biosecurity, antibiotic resistance and veterinary drugs. All meat sold in Canada by retailers, restaurants and institutions has been inspected in advance. There are two inspection levels: those of the federal and provincial governments. The role of these inspection services is to supervise cattle production to ensure compliance with the health and safety directives. Understanding how to secure your farm against the introduction of new diseases, such as Salmonella Dublin. Controlling the spread of diseases within the herd. Preventing contamination of other herds. All these measures form the Biosecurity Plan for the farm. 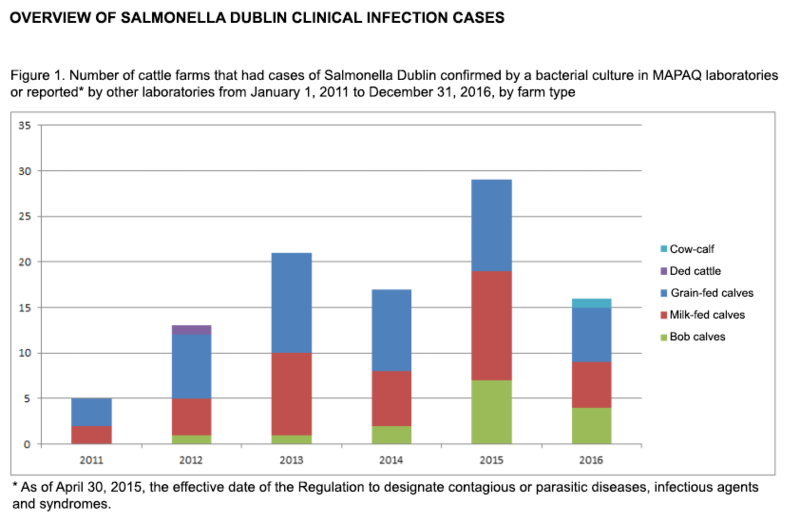 In the case of Salmonella Dublin, control consists of preventing bacteria from entering through contaminated manure. 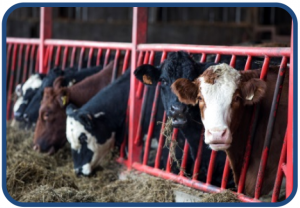 There are many internal biosecurity measures that can contribute to protecting your herd. This involves adopting selected measures as a start and then implementing biomanagement. This involves containing bacteria on your premises until the situation is resolved. Keeping sick animals out of the transportation and marketing process is very important for the production sector. The deployment of biosecurity measures will soon be one of the important criteria for livestock buyers. 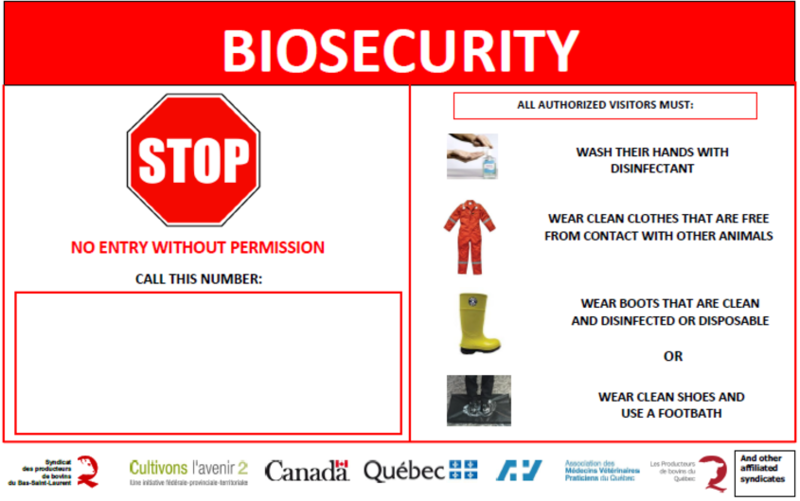 It is impossible for anyone to be “perfect” in biosafety, but we can all do a little more by adopting a good biosecurity plan. Document the measures in force on your farm and require your visitors and workers to comply with them. How is an animal infected? By ingesting or licking food, water, the airborne environment, an object or clothing contaminated by the feces of an infected animal (including a carrier). While they are sick in the acute phase. When the disease becomes chronic, after about 30 months. If the animal becomes a carrier, periodic or continuous for years, in the feces and sometimes even in the milk. The level of infection depends on the dose! In conclusion, prevention and control of Salmonella Dublin depend on biosecurity and not on treatment or eradication. Antibiotic resistance is the ability of bacteria to resist antibiotics and certain other antimicrobials. This resistance may have different causes, but resistance acquired after misuse or intensive use of antibiotics is of more particular concern to the international community. This is the reason why the World Health Organization (WHO), in May 2015, published its Global Action Plan on Antimicrobial Resistance, whose objective is to ensure continuity of successful treatment and prevention of infectious diseases with effective and safe medicines that are quality-assured. Controlling the increase in antibiotic resistance is the responsibility of everyone who uses antimicrobials. Whether they are used for human medicine, for pets or for livestock production, everyone must review the way they use these critically important medications. 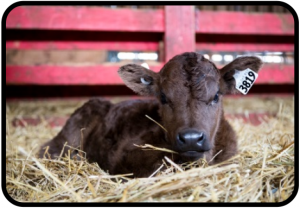 The Programme québécois d’antibiosurveillance vétérinaire (Quebec Veterinary Self-Monitoring Program) provides annual data for cattle. To familiarize yourself with the results of this study, visit the MAPAQ website.